A visit to Smith Island is a refreshing experience. The island is, indeed, "an island out of time." 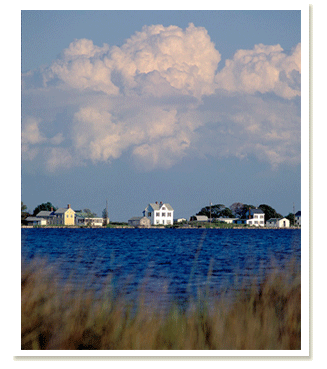 Having left your car in Crisfield, you will start to unwind on the ferry ride over to the island. When you reach the island, you will be rewarded with beautiful views of the water and marsh, birdlife, incredible sunsets, and the bustling of crabbers and crab boats. You can get a terrific crab cake, enjoy some fishing or wander the small villages. On weekday evenings, the ladies pick crabs at the co-op, and that is worth a stop. The crabbing season typically starts in May and runs through mid-November. The crab picking generally starts in late May or early June and continues through the fall. Photographers love the island any time of year. Kayakers have meandering marsh guts to explore. This is also the home of the famous Smith Island eight layer cake. Islanders are happy to take people out fishing, or on a tour of the area, and some will even teach you how to make one of those amazing cakes. The island culture is unique and welcoming. Island life also comes with a few things you may not usually think about it. For tips to prepare for your visit, please visit Practical Information.